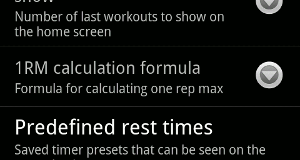 BB Workout Log is a very easy to use FREE Android fitness tracker application. Both beginners and experienced lifters (in bodybuilding, power lifting or fitness) will benefit from its simplicity and features. Do not waste precious training time on phone usage. Log results in just few clicks, then get new better results. If you ever kept a paper training diary, you probably value its simplicity: when you needed to check results of the last training session you just had to move your eyes to the previous page. 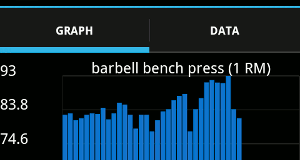 In BB Workout Log there is always visible history of sets, reps, weight and rest times. 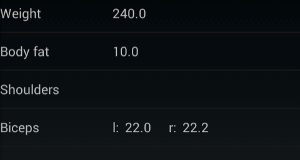 With less than 2 MB download size start using this application in just a few seconds. No useless stuff — focus on your results and nothing else. Smart option defaults make this application perfect for beginners. 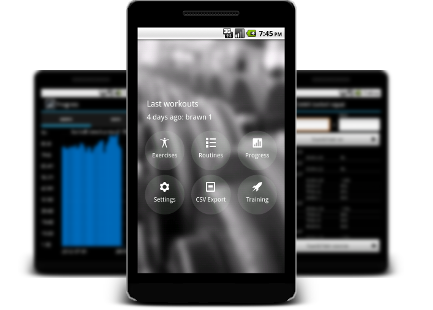 But a selection of options allows to tailor the application to many personal styles of workouts. Do not let the ease of usage fool you — this app is full of powerful advanced features. Track your progress with 1 repetition maximum graphs, export results to CSV, replace exercises right in the middle of a workout. After each training session see what new records have been achieved. Total time, moved weight, repetition records, new best one repetition maximum - you can even share all this information with your friends. Never lose your training history again. Backup the whole database, move to any cloud storage, restore on any phone. 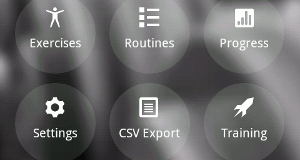 You can even export information to CSV for advanced processing. 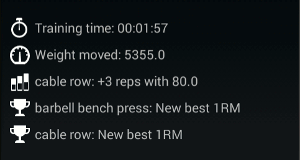 BB Workout Log allows not only to track your training history, but body measurements as well. Take control of how your body changes no matter what your training goals are. Easy and powerful application. As described in the overview – the application indeed is easy to use. The basic features of the program make you focus on the workout and see your progress. As someone who knows what they are doing it is easy to put your own workout in without having to scroll through a lot of workouts. The Perfect Way To Track Your Progress! I'm two months in and it has helped me tremendously! It's easy to use and also speeds up your workout! 5+. Everything is simple, clear and convenient. Nothing is redundant. Thanks to the developer. Added highlighting of routines with different colors in the calendar view; added more rest time templates.